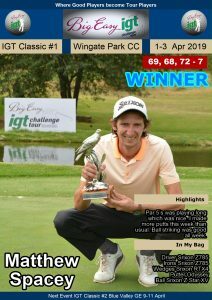 BENONI, 29 May 2018 – Just a week on from a narrow play-off loss at State Mines, Heinrich Bruiners is in a great position to avenge the defeat after he hit one of the greatest shots of the season to shoot to the top of the pile in the fifth IGT Challenge Tour in Benoni on Tuesday. 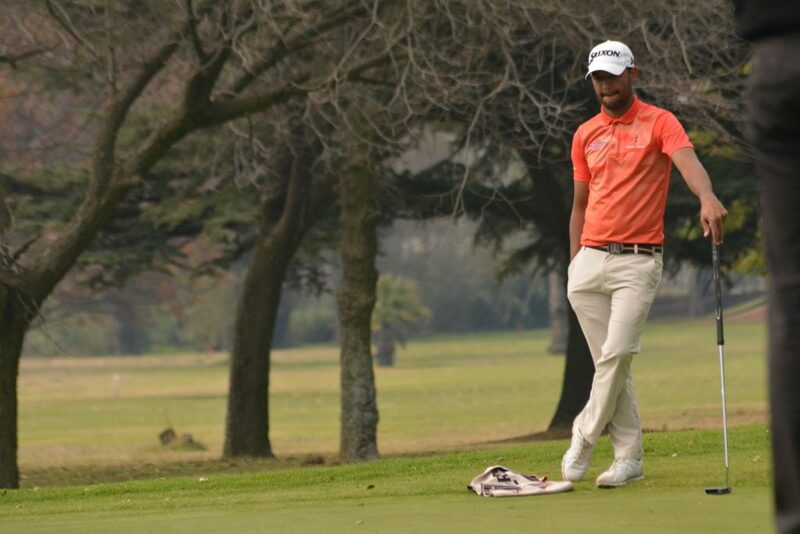 The Gary Player Class of 2018 member opened up a three-shot lead on nine-under-par 135 with a 66 in the second round after he holed out with a pitching wedge at the par-five 15th for an albatross at The Lake Club Benoni. “I nearly holed a 7-iron in the first round and when I hit that pitching wedge, I knew it felt good,” said the delighted George golfer. 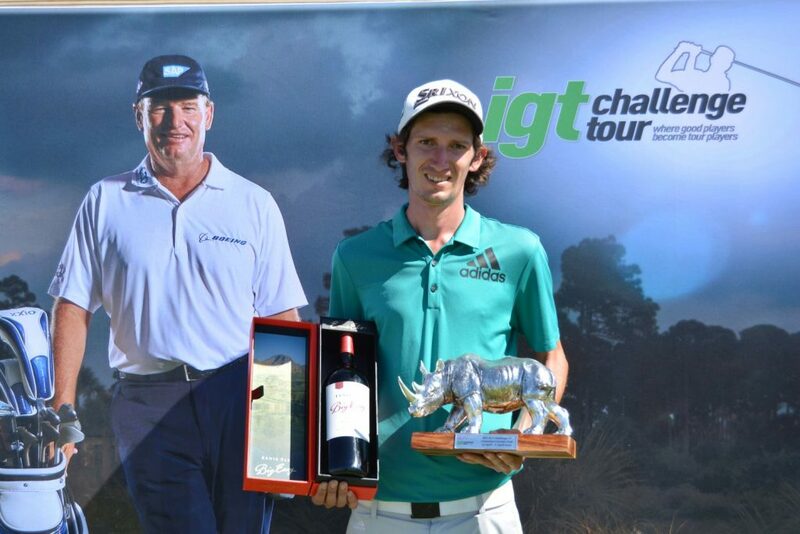 “Jade (Buitendag) still asked me on Monday if I’d ever made an albatross and I was telling him about the one I made at Leopard park, also with a driver and a 7-iron. Bruiners began the second round on three under and one off the pace. 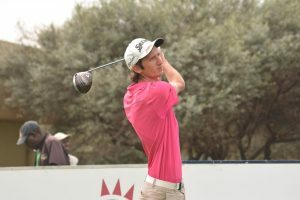 He was still in the leading pack through the first nine holes, but the George golfer turned up the heat after a birdie at nine and played the back nine in 29 strokes. “It could have been 28,” said Bruiners. “I hit a great shot into 18, about two inches from the hole, but it spun to 12 foot and I missed the putt. I hit the ball really solid all day. I had a soft bogey at two and I got a bit greedy at eight and ended up three-putting. “The turning point was the birdie at nine. I hit a 6-iron from 185 metres out and it pitched right next to the hole. After I made that birdie, I was back in the zone. I played the last 10 holes in eight under and my short game was amazing. “We worked really hard on chipping and putting at the World of Golf during the boot camp, so I have to give those guys kudos for my short game. I kept the momentum going with a birdie at 10 and made three more at 12, 13 and 17. 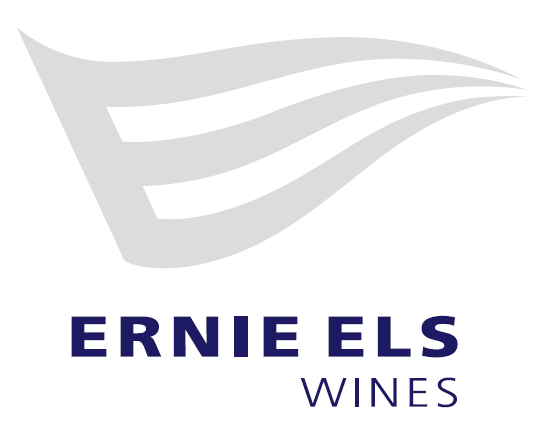 Bruiners will once again have the company of Buitendag and Sunshine Ladies Tour player Lejan Lewthwaite, who played with him over the first two rounds. Buitendag carded a flawless 67 with birdies at one, four and 12 and an eagle at the par five 10th. 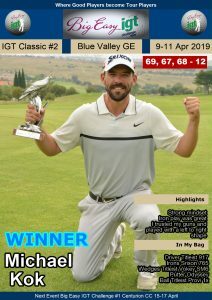 Lewthwaite posted 69, while Chris Cannon from England and KwaZulu-Natal amateur Luke Mayo, who both registered 69s, also finished at six under. Overnight leader Jason Diab did well to erase a double bogey at 14 with a brace of birdies at 15 and 16. 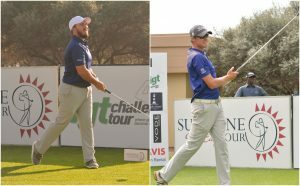 A one-under 71 will see the Gary Player Class of 2018 golfer start the final round on five-under alongside Haydn Griffiths and Glendower amateur Aneurin Gounden.